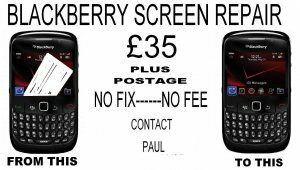 Simply contact me and post the phone to me (recorded delivery). I will repair and return asap. If in the Fylde area I will collect and deliver. No fixno fee and the phone returned in the condition I received it. Payment by paypal (prefered) cash, or by cheque.